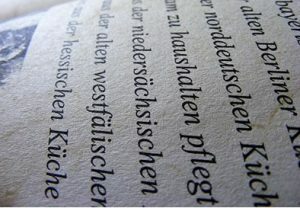 Language courses in Vienna are probably one of the best options to learn German quickly. If you struggle with languages, or have difficulty motivating yourself to do the work outside of class, language courses can be a great option. Classes are usually fairly small (around 5-15 people), and the teachers are usually native speakers trained in teaching German. This can be better than simply chatting to other Austrians, because your teacher can go through the grammar with you, and these lessons can be easily reinforced in Vienna, as you’re surrounded by the language all the time! What do you need to know about language courses? Other information: 12 different levels, so everyone is sure to find a level that is right for them. All the teachers are qualified and experienced in teaching German as a second language. Other information: ActiLingua Academy offer both beginner and advanced options. They also offer accommodation options for the period of the language course. Entry requirements: All levels accepted. The course starts with an entrance exam to evaluate which level class would suit the learner best. Other information: Deutschzentrum Wien also runs language cafes and group excursions, all in name of learning German!